The first documented percolator coffee pot was invented in the 18th century, not in one place but in different parts of the world. Coffee had become a popular drink and people wanted to find a way to make it easier to brew a good cup. The first known inventor of the percolator was by none other than a New Englander by the name of Benjamin Thompson (1753-1814). A physicist and inventor he served in the Loyalist forces as a Colonel during the American Revolution. In 1784 he was knighted by King George III. He later relocated to Bavaria becoming a government servant where he was appointed Bavarian Army Minister and was thereafter known as Count Rumford of the Holy Roman Empire. There is no exact date of his percolator invention. A bit later in France there is record of a percolator being created in 1818 by a metal smith by the name of Laurens. In England a few years later in 1840 James Napier created the vacuum pot which was comprised of two glass globes. The bottom one boiled the water and the vapor would rise into the upper globe brewing the coffee. When removed from the heat, the lower globe cooled and the vacuum created pulled the brewed coffee down into it. In America cowboys would make coffee by boiling water and the grounds together and letting the grounds settle to the bottom. Later people began to put the coffee in a cloth bag to keep the grounds from mixing in the water. James H. Mason patented the first percolator in the United States in 1865. His device incorporated a basket on top of a hollow stem where the grounds were placed inside of a pot of water. Boiling water would travel up through the hollow tube and drip down over the grounds, “percolating” them back into the pot. 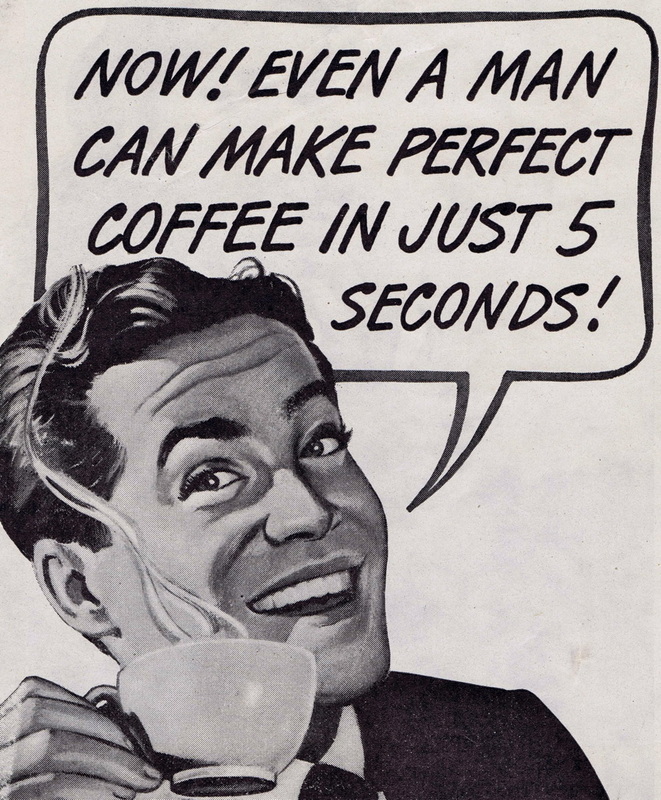 This method of coffee brewing gave way to the “drip” coffeemaker and in 1972 Mr. Coffee hit the market. Designed by Vince Marotta and endorsed by Joe DiMaggio it became a best seller. But if you are out camping there is no beating the good old percolator; its portable, needs no electricity and produces a great cup of coffee over the camp stove on those brisk chilly mornings outdoors – the old-fashioned way. I Will have to come back again to http://www.buzzaboutcoffee.com/percolator-coffee-pot/history/ when my course load lets up – however I am taking your RSS feed so I can read your site offline. Thanks.